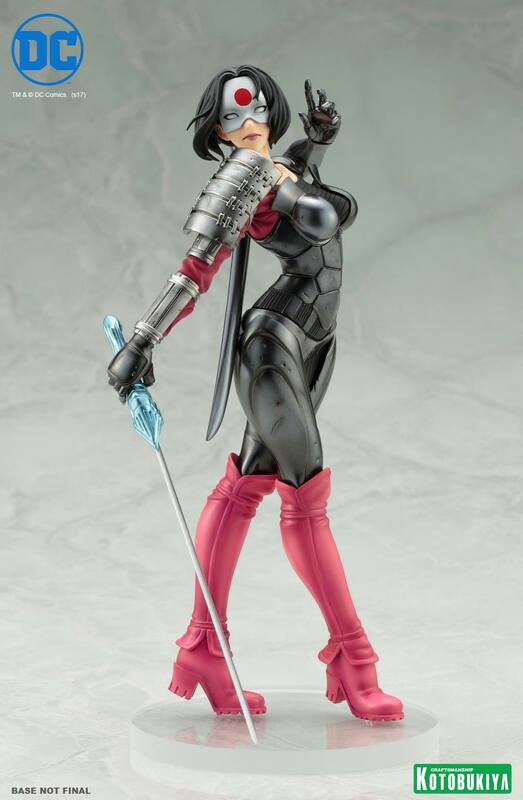 Last month, Kotobukiys shared a great look at the unpainted prototype for an upcoming DC Comics Katana Bishoujo Statue. They have updated with a new look at the upcoming statue. New photos show off the fully painted release, and we have a bit of info to go along with it. 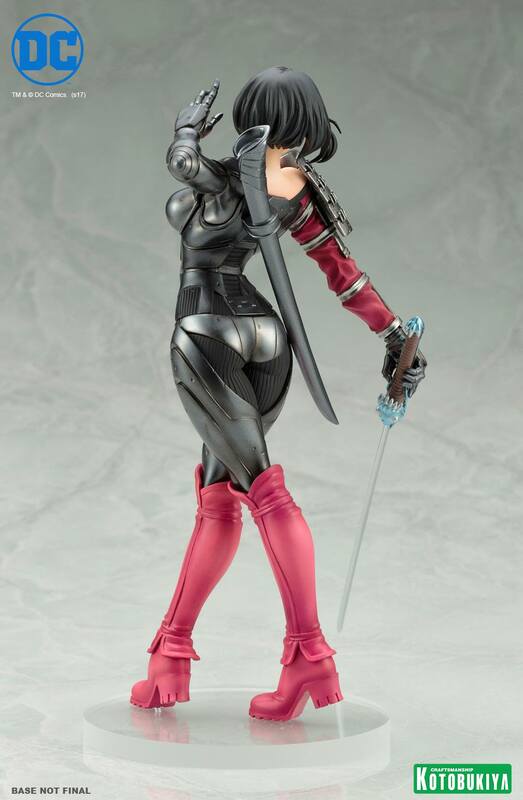 The Katana Bishoujo Statue is a 1/7 scale statue that will stand just over 9″ tall and will include a themed display base (not shown at this time). 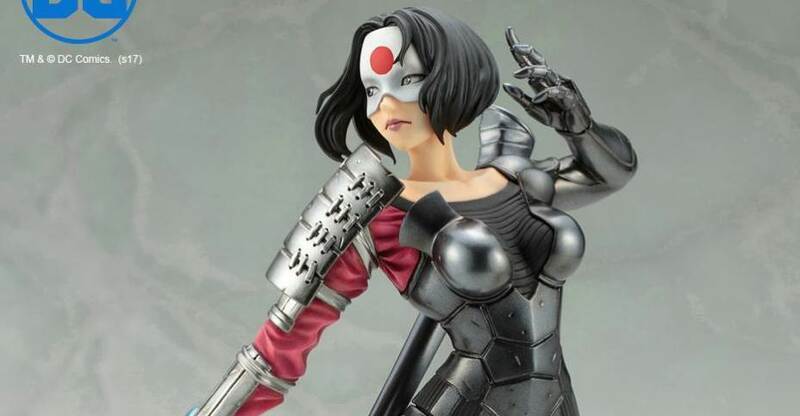 Katana will include her trademark weapon, the Soultaker sword. She also looks to include an alternate portrait with pure white eyes. 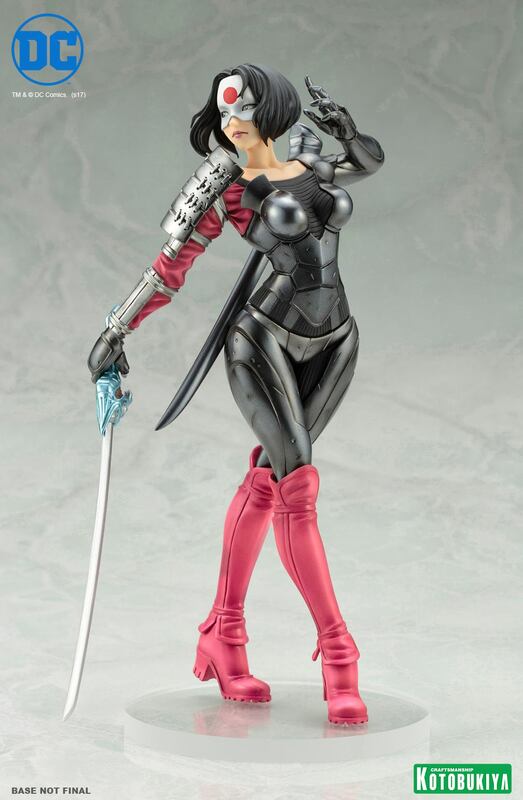 The Katana Bishoujo Statue is scheduled for a November release. The pre-order page is live. The statue is priced at $79.99. Check out the new photos after the jump. Cool, looks like they put up the pre-order page. Here's zoomed in pics of it. This looks great. Love it. Always happy to see Katana get some attention.